Madurai - Often referred to as the "Athens of the East", Madurai is said the be the oldest city in southern India, as well as one of the oldest continuously inhabited cities in the world. Located on the sacred river Vaigai, it has been an important religious center, particularly to Hindus, since at least the 3rd century B.C., and probably even longer. It has been known to the West even in ancient times thanks possibly to the travels of Megasthenes, a Greek ambassador from the Seleucid Empire. 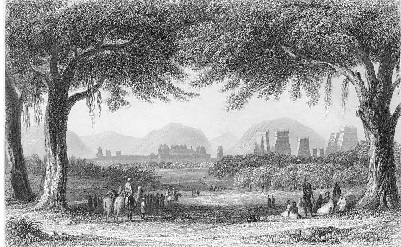 Madurai was the capital of the southern kingdom of Pandya and Megasthenes appears to have gone there to establish official relations with the Indian empire. He mentions the city of "Methora" in his work, Indica, which may have referred to Madurai; however, some scholars believe it was actually Mathura of the Mauryan Empire that Megasthenes visited. Regardless, news of Madurai made it back to the West somehow as it was known to Roman historians in the first and second centuries A.D.. Over the centuries, it passed through the possession of many empires and served as the capital of several of them. As a holy city, one of the biggest attractions of Madurai is the numerous temples found there, the most prominent being the Meenakshi Amman Temple, dedicated to the Hindu goddess Parvati. In later times, a magnificent palace, the Thirumalai Nayakkar Palace, which blends Dravidian and Islamic architecture, was built there.